Does VCU remain the conference favorite after UMass' 8-0 start? The Atlantic 10 was one of the biggest losers in conference realignment. Losing Xavier, Temple and Butler robbed the league of three of its most high-profile and well-respected programs. The A-10 may not have the stature it once did, but not all is lost at the top of the conference. Thanks to surprising starts for Dayton and George Washington, the Atlantic 10 has scored early season wins over Gonzaga, New Mexico, Creighton and Virginia. At least five teams will enter conference play with hopes of reaching the NCAA Tournament. 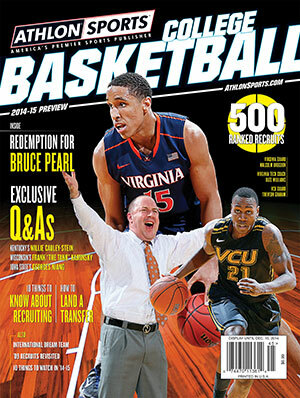 This preview and more on VCU and the Atlantic 10 are available in the Athlon Sports 2013-14 College Basketball Preseason Annual. The magazine is available online or on newsstands everywhere. Butler has replaced Brad Stevens with assistant Brandon Miller. The Sweet 16 will feature either Ole Miss or La Salle. Let that sink in a bit. Ole Miss and La Salle have been also-rans in their leagues for roughly a decade, and now one of them will reach the second weekend of the NCAA Tournament. March Madness is just getting started as the college basketball season shifts to the conference tournaments. Titles will be won, NCAA Tournament spots will be clinched or lost all over the country. Here’s what to watch in the Atlantic 10.